Every CrossFitter has experienced a torn callus but I think it’s completely avoidable if you take the proper precautions. Perform callus maintenance regularly, don’t use too much chalk, and avoid workouts with hundreds of pull-ups. 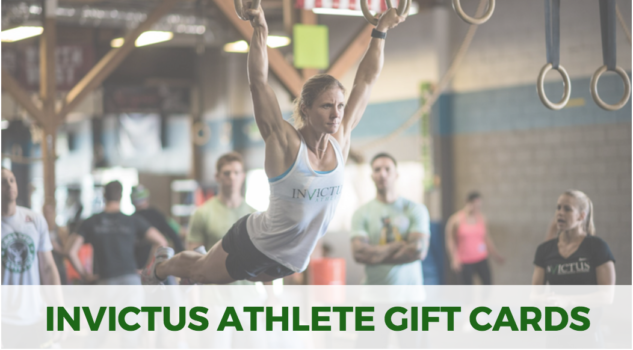 But what’s a CrossFit athlete to do when the inevitable tear happens? Taping your hands is certainly a good option. The problem I see is that most people have no clue on how to tape their hands. The most common “technique” I see employed is simply taking a length of athletic tape and wrapping it around the palm several times. Without a doubt, this is the best way to waste athletic tape and do absolutely nothing to protect your hands. Anyone who has taped with this method can tell you, a few pull-ups is all it takes to turn this shoddy tape job into a rolled up bundle of tape, chalk, and skin. Step 1. 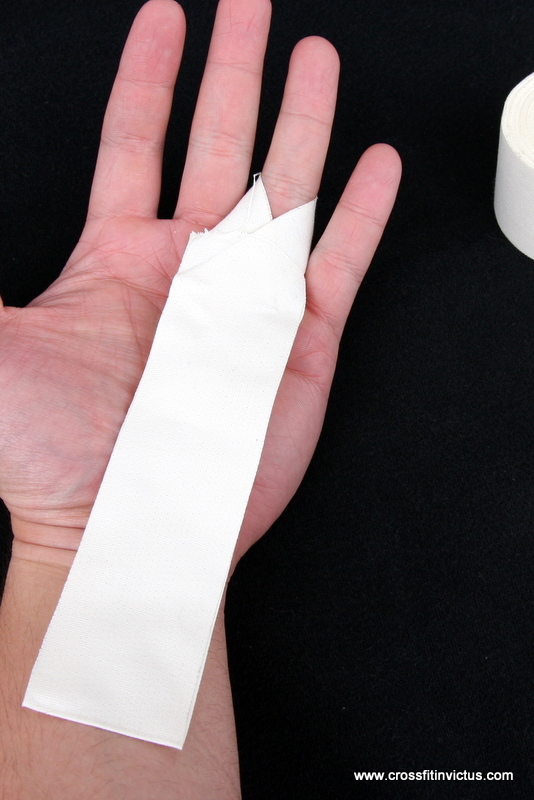 Take approximately 5 inches of standard athletic tape and fold it length wise. Wrap it around the base of your finger and overlap the excess. The ends should cover your tear/hot spot. Step 2. Take another length of tape approximately 10 inches. 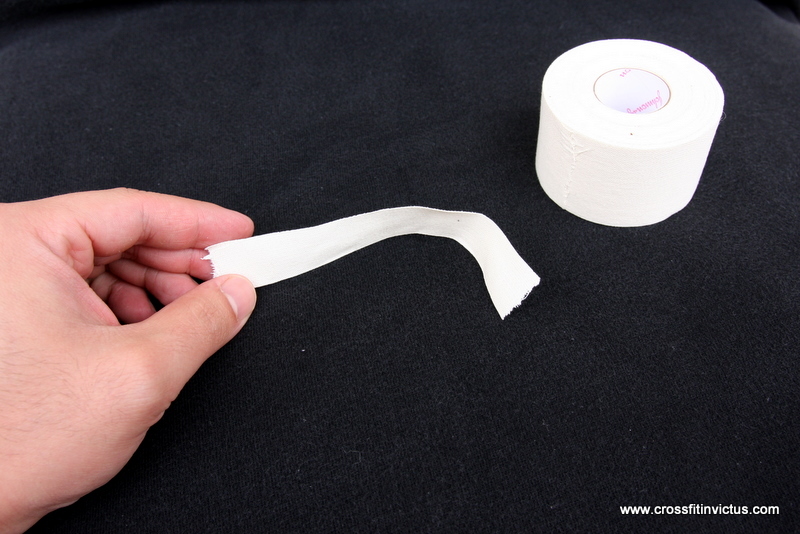 Tape the wrapped section to one end of the tape and fold width wise so that the other end of the tape also covers the wrapped section. Step 3. You now have a grip for your hands. If you did it correctly, there should be enough excess below the wrist joint to secure it with tape. Simply wrap some tape around your wrist to hold it in place. 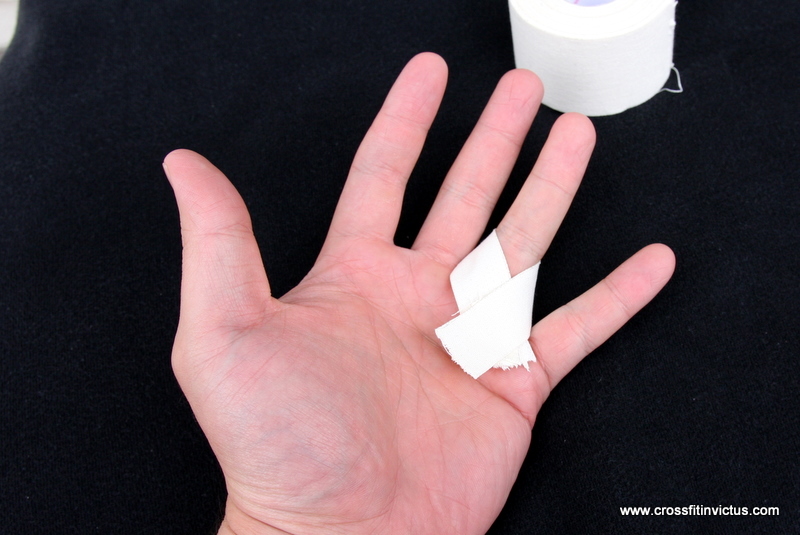 Instead of having 1 or 2 layers of tape to cover your callus tear, you have 6 layers of tape over that spot if you use this technique correctly. 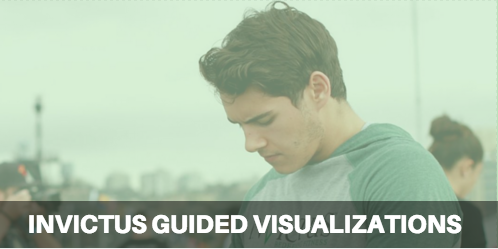 You don’t have to wait until you tear to use this method either. If your callus is already showing signs of failure and there’s plenty of pull-ups in the WOD, you might want to consider taking some preventive measures.